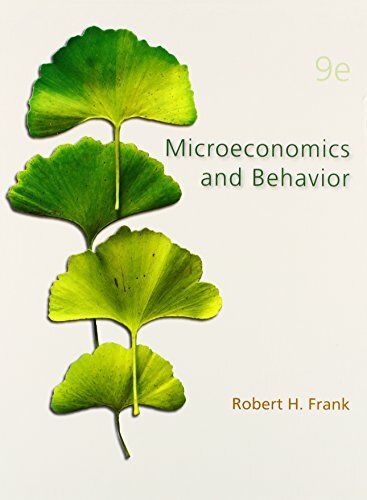 Robert Frank's Microeconomics and Behavior covers the essential topics of microeconomics while exploring the relationship between economic analysis and human behavior. Core analytical tools are embedded in a uniquely diverse collection of examples and applications to illuminate the power and versatility of the economic way of thinking. Students are encouraged to become “Economic Naturalists” who see the mundane details of ordinary existence in a sharp new light. Robert H. Frank received his M.A. in statistics from the University of California at Berkeley in 1971, and his Ph.D. in economics in 1972, also from U.C. Berkeley. He is the Goldwin Smith Professor of Economics at Cornell University, where he has taught since 1972 and where he currently holds a joint appointment in the department of economics and the Johnson Graduate School of Management. 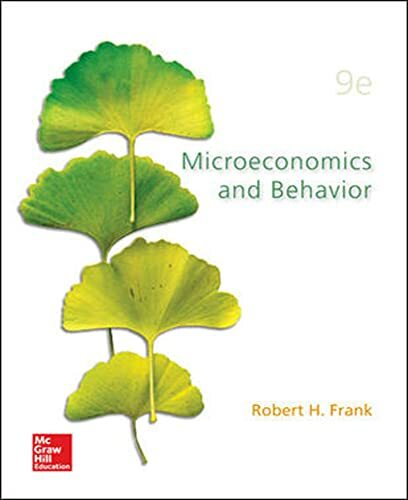 He has published on a variety of subjects, including price and wage discrimination, public utility pricing, the measurement of unemployment spell lengths, and the distributional consequences of direct foreign investment. For the past several years, his research has focused on rivalry and cooperation in economic and social behaviour. Appendix: How Do Taxes Affect Equilibrium Prices and Quantities?